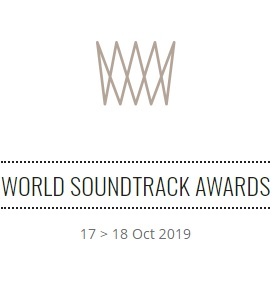 Held on October 24th, the World Soundtrack Awards will celebrate its 15th anniversary with one of the most brilliant film composers of his generation, known for his scores of ‘Back to the Future’, ‘Who Framed Roger Rabbit’ and ‘Forrest Gump’. Brussels Philharmonic and The Flemish Radio Choir will perform the compelling scores by Alan Silvestri, Lifetime Achievement Award Winner Patrick Doyle and Discovery of 2014 Daniel Pemberton, conducted by Dirk Brossé and accompanied by film fragments on the big screen. Although Silvestri has succeeded in writing successful scores for films that were able to exist on their own, his name remains associated with some of the most popular films of the last decades: Back to the Future, Who Framed Roger Rabbit and Forrest Gump. Three titles that are not coincidental all by Robert Zemeckis. After the technically ground breaking director asked Silvestri to write the music for his third film,Romancing the Stone (with Kathleen Turner and Michael Douglas) in 1984, Silvestri composed the scores for all of Zemeckis’ films thereafter. A rather unique collaboration in film history, which will certainly be the focus of the concert. 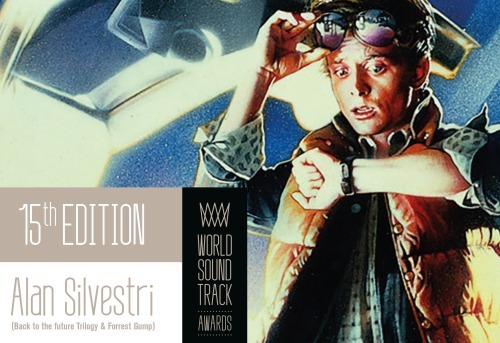 Silvestri’s music for Zemeckis is instantly recognizable, but also extremely varied, ranging from sweeping action of the Back to the Future trilogy, lovely piano themes from Forrest Gump or sweet melodies from The Polar Express (the first all-digital-capture film), to the exuberant jazz from the live action/animation mix Who Framed Roger Rabbit and the aggressive percussion for the macabre fantasy Death Becomes Her. Other directors who were eager to work with Silvestri received scores from different registers of the film music repertoire. For James Cameron’s epic underwater film The Abyss, Silvestri used a blend of synthesisers and orchestral music to deliver a score that sounded alternately explosive, mysterious and ecclesiastical. For Sam Raimi’s The Quick and the Dead he composed a rather fitting tribute to the legendary scores of Ennio Morricone. Add the superhero blockbuster The Avengers, the horror adventure The Mummy Returns and the comedy Father of the Bride and The Parent Trap and you will notice that there isn’t a genre that Alan Silvestri has left untouched. Though he confesses he has a weakness for pure action scores. “I have a great time on the hard-hitting action material”. Looks like it will be an action packed WSAwards concert this year. The Lifetime Achievement Award will be presented to Patrick Doyle following the festival’s focus on British Cinema. Anyone who can still recount hearing Doyle’s score for Kenneth Branagh’s debut film ‘Henry V’ in 1989 for the first time, knows that back then a great composer was born. Ever since, Patrick Doyle has been a close collaborator with Mr. Branagh and always gave a deeper musical layer to all of his films including the Shakespeare adaptations (‘Henry V’, ‘Hamlet’, ‘Much Ado About Nothing’, ‘As You Like It’ and ‘Love’s Labour’s Lost’). The immensely versatile Doyle enriched the films by Robert Altman, Ang Lee, Chen Kaige, Alfonso Cuarón and Brian DePalma with his alternating tragic, noble, triumphant and romantic compositions. With his work on blockbusters such as ‘Rise of the Planet of the Apes’ and ‘Harry Potter and the Goblet of Fire’ and more recenly ‘Cinderella’ he certainly proved his talent working on spectacular Hollywood films. Film Fest Gent also welcomes Daniel Pemberton, winner of the Discovery Award 2014, as one of its guest. The British composer was awarded for his scores: The Counselor by Ridley Scott and Cuban Fury by James Griffiths. Pemberton was only sixteen when he began composing in 1994 and now has 103 credits to his name, largely owed to the numerous TV series (Desperate Romantics, Occupation), mini series (Upstairs Downstairs, The Games), TV docs, television movies and games for which he provided the music. It has only been in these last couple of years that he focuses on feature films, such as The Man from UNCLE by Guy Ritchie as one of his recent major works. 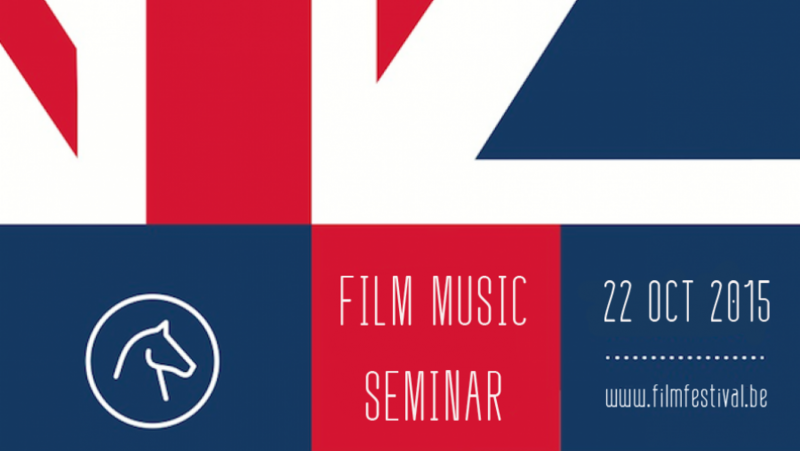 The next edition of the Film Music & Sound Seminar will focus on ‘British Film Music’ and will take place on Thursday 22 October 2015 from 9h30 a.m. to 4h30 p.m.
Film Fest Gent annualy organises the Film Music Seminar in collaboration with the University College Gent, School of Arts and curated by dr. Martine Huvenne. 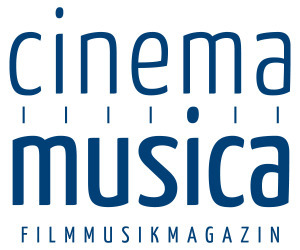 Year after year, famous and important professionals of the film music industry teach participants about film music or sound design. The first part of the seminar will be a conversation with composer George Fenton. We will focus on his longlasting collaboration with director Ken Loach, among other directors. The second part we will invite British composers Patrick Doyle and Daniel Pemberton for a debate concerning the difference between collaborations for British and North American productions. Dr. Martine Huvenne is researcher and lecturer sound and music for film at the Faculty of Audiovisual Arts of the School of Arts Gent, University College Ghent and LUCA School of Arts. She completed her PhD on “Sound as Inner Movement in the Transfer of Experience in film: a Phenomenological Approach” at the University of Amsterdam. During the years following a Laban training course with Rob Struyf (who himself was trained by Kurt Jooss), she organized dance workshops exploring the interaction between music/composition and movement /composition. Martine Huvenne is also curator and co-organizer of the Ghent Film Fest’s annual seminar on music and sound design in film. 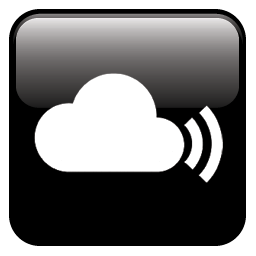 She coordinates the curriculum development for a European Master of Arts in Sound (www.emasound.org) which is intended to start in August 2015. Following its focus on British cinema, Fest Gent will also celebrate the rich tradition of British film music by organising the concert GREAT BRITISH FILM MUSIC at the Bijloke, that will provide an anthology of the work of both classical and contemporary film composers, whom have made a remarkable contribution to the image and success of British cinema. Nearly every roaring name of British film music will pass the line-up, ranging from William Walton to John Barry, from George Fenton to Michael Nyman. Their celebrated music will be accompanied by film excerpts from among others: Richard III, Shakespeare in Love, Far from the Madding Crowd, Murder on the Orient Express, Dangerous Liaisons, The Ipcress File and The Knack… and how to get it. George Fenton will receive a Lifetime Achievement Award and will be joined by composers Michael Nyman, Patrick Doyle, Stephen Warbeck and Craig Armstrong. The first part of the concert can be conceived as a walk down memory lane of British Cinema with classic scores that demonstrate musically in which genres the British cinema has excelled throughout the years. Naturally s the all-time classic Richard III will be included in the programme. The film music was composed by the eminent William Walton, who was unlike any other, very much aware of the requirements of film music. Sir Richard Rodney Bennett’s opening waltz from the Agatha Christie-adaptation Murder on the Orient Express could also not be excluded as it’s one of his most vivacious compositions. ￼The notion ‘stiff upper lip’ is especially associated with another popular English genre: war films. We explore this tradition starting with an anti-Nazi propaganda film 49th Parallel for whom the classically trained Ralph Vaughan Williams wrote one of his eleven brilliant scores. During the sixties Ron Goodwin positioned himself as the champion of bold music to films such as Where Eagles Dare and Frenzy by Alfred Hitchcock. In a summary of the best British film music, one must not forget the sound and spirit of the psychedelically swinging London, acknowledged in the title melody of jazz composer John Dankworth for Modesty Blaise, the female James Bond. John Barry, the man behind the genuine 007-sound can be heared on tracks of two films: The Ipcress File (with a young Michael Caine) and The Knack… and how to get it, a cult film that captured the spirit of the age masterfully because of its absurdist humour and inventive storytelling. During the second part of the concert, another given fact of British cinema will be highlighted: the prestigious literary adaptation which delivers sumptuous costume films and in which the music also guarantees the necessary pomp and circumstance. This concert’s most recent score comes from Far from the Madding Crowd starring Belgian actor Matthias Schoenaerts and Carey Mulligan and the film music was delivered by Scottish composer Craig Armstrong. Shakespeare in Love (featuring Joseph Fiennes, Gwyneth Paltrow and Dame Judi Dench) is not exactly a true Shakespeare-adaptation but more of a fantasy dealing with the Bard’s love life, which was reflected in the intense melodious score created by Stephen Warbeck. Patrick Doyle’s score for Kenneth Branagh’s Much Ado About Nothing will be the third Shakespeare adaptation on the line up. The versatile George Fenton wrote the playful film music for Land and Freedom by Ken Loach, with whom he has a langstanding collaboration with. The work of Michael Nyman, including his mesmerising music for Peter Greenaway’s films The Draughtsman’s Contract and Drowning by Numbers will also be performed, as well as his hypnotic piano theme from Neil Jordan’s adaptation of Graham Greene’s novel The End of the Affair. Finally there will be a concert premiere of a composition by Alex Heffes for The Program, the latest film by Stephen Frears on fallen athlete Lance Armstrong.